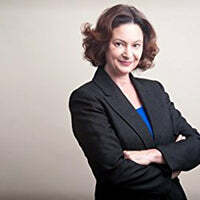 Mary Eberstadt is an essayist, novelist, and author of several influential works of non-fiction, including How the West Really Lost God: A New Theory of Secularization; Adam and Eve after the Pill: Paradoxes of the Sexual Revolution; and Home-Alone America. Her novel The Loser Letters: A Comic Tale of Life, Death, and Atheism, has been adapted for stage and will premiere in fall 2016. She is also editor of the anthology Why I Turned Right: Leading Baby Boom Conservatives Chronicle Their Political Journeys. A frequent contributor to magazines and journals including TIME, the Wall Street Journal, National Review, the Weekly Standard, and First Things, Mrs. Eberstadt (nee Tedeschi) has also served as an editor at The Public Interest, The National Interest, and Policy Review. She has been associated with various think tanks, including most recently the Hoover Institution and the Ethics and Public Policy Center. In 2011, she founded a literary organization called the Kirkpatrick Society that has mentored hundreds of writers.